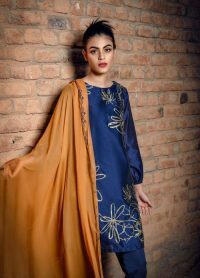 Give your wardrobe a kick with this traditional and trendiest CASUAL WEAR khaddi net shirt embellished with intricate computer embroidery and sophisticated hand touching stitching. 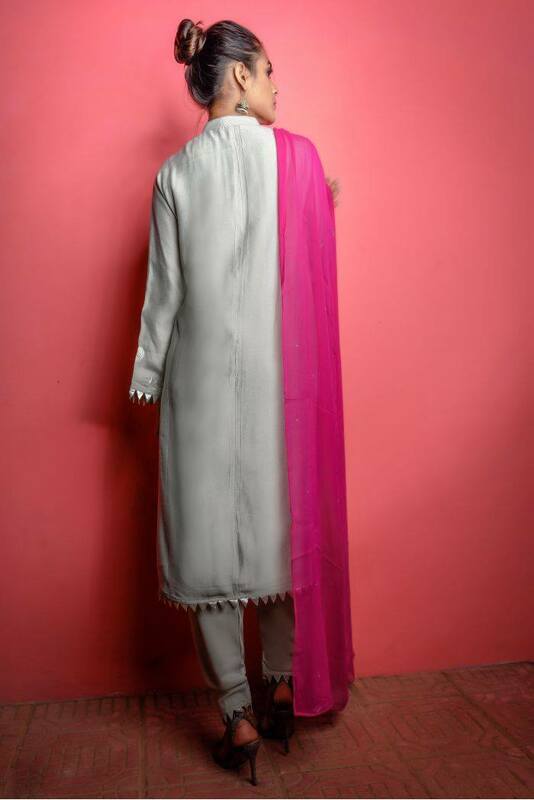 This beautiful attire brings subtle feminine dimensions of the traditional culture of the east. 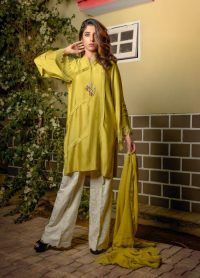 This mint green khaddi net shirt with Indian rawsilk shalwar paired with shocking pink soft chiffon dopatta shows authentic and balanced traditions of the eastern culture. Through this attire, you can endeavor to exhibit the expression of strong woman. 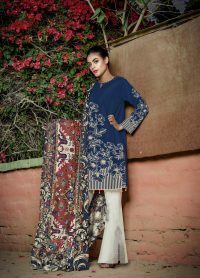 If you have the guests arrived at home, or if you want to spend a day with your friends, this attire is the best choice to wear. 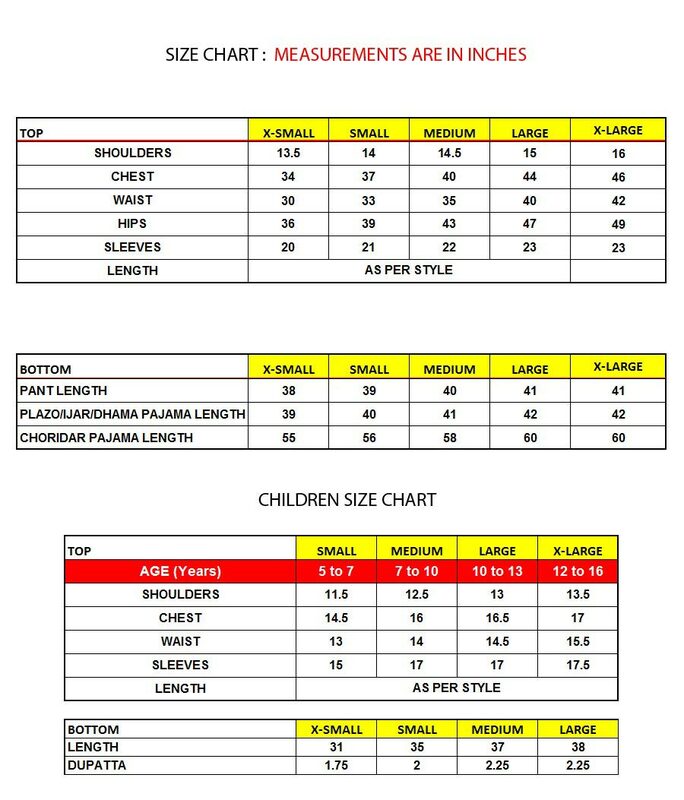 This dress comes with long sleeves but you can modify the sleeve length as per your choice and preference. So why to miss this opportunity, BUY NOW!